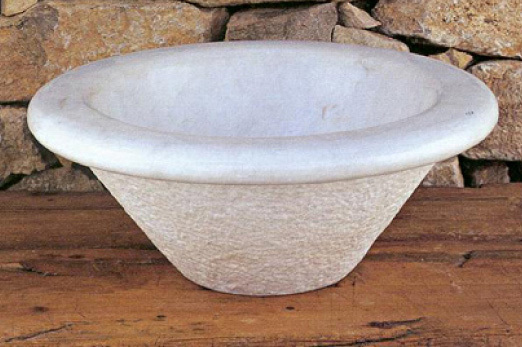 Bush hammered or pitched exterior, conical shaped with polished rim and interior. Can be installed on top of vanity or recessed to the rim. Shown in Carrara Marble.